SwimOffice gives you the ability to print SE Registration data for each athlete so you can manually enter it into SE's system. To do this, make sure all the SE information is correct in each athlete's profile, then print hard copies to use for manual entry into SE's system. Remove any unneeded columns on the right. 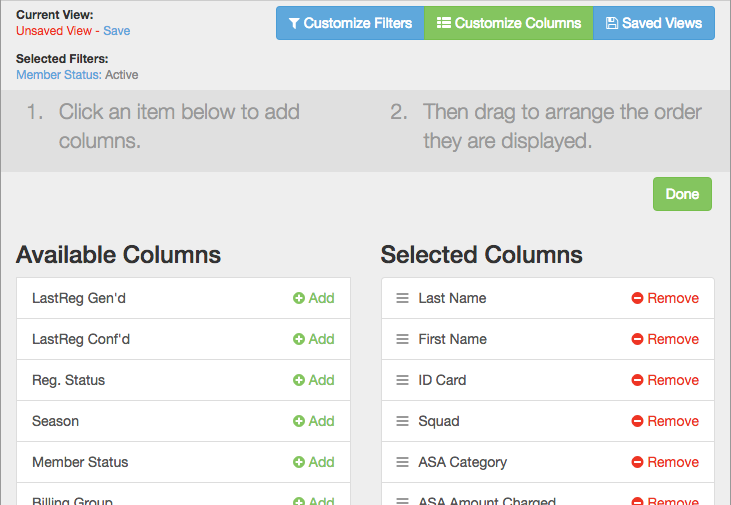 Click Add on any columns on the left you want to include, then drag and drop them on the right to put them in the order you want. Once it's configured how you like, click Saved Views, name it, and click Save. Use Customize Filters to narrow your selection if needed. Make sure all ASA data is complete in each athlete's profile you intend to register. You can select one or more athletes, then click Edit > Multi-Edit to change certain properties simultaneously. 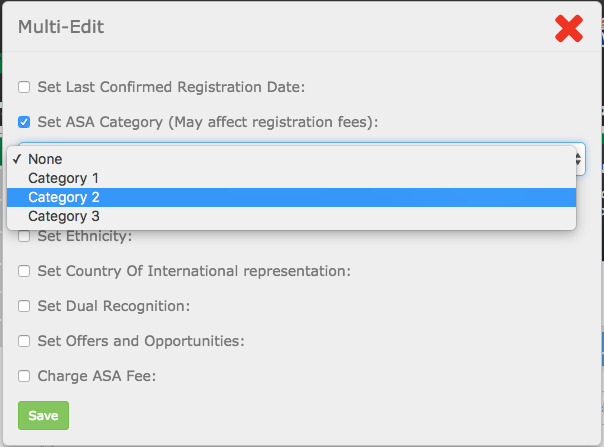 Select all athletes to register and click Export > ASA Form. SwimOffice will generate a PDF with one page per athlete which you can then use to manually register the athletes with SE.